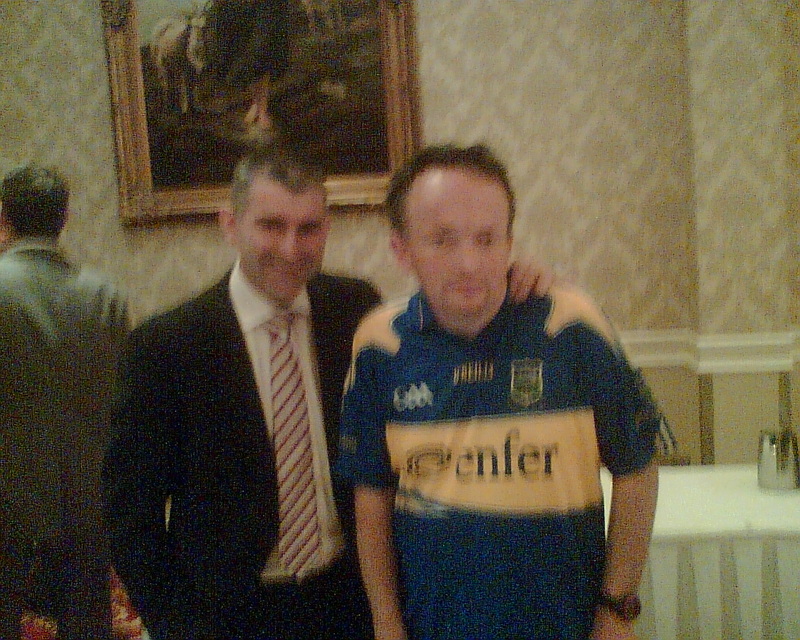 Photograph of Liam Seymour with former Tipperary Manager and player Liam Sheedy. Both Liam’s were attending a breakfast briefing with Tipperary Legends in the Abbey Court Hotel organized by North Tipperary branch of Alzheimer’s Society. The format used was a questions and answers session in which Damien Lawlor, well known Tipperary journalist and Sunday Independent sports writer addressed questions to Tipperary Legends, Liam Sheedy, Len Gaynor and Tommy Dunne.